CarrierBid will save you time and money when shopping for business phone and internet service. Scheduling a bill audit is your first step. At no cost to you, a CarrierBid professional will conduct a no obligation telecom bill audit, inventory your existing business phone and internet services and look for ways to save. Choose the experts. CarrierBid is staffed by former phone and cable company and competitive local exchange carrier account managers; they possess the insider’s knowledge and know how to unearth savings. Unlike “split the savings” firms, CarrierBid doesn’t extract a percentage of your savings. Best of all, you’ll never receive a bill from CarrierBid, just a lower bill from your provider. CarrierBid secures your business phone and internet billing and customer service records from your current telco providers. 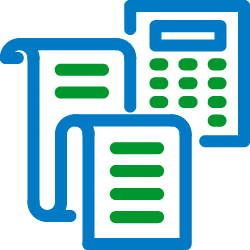 We’ll prepare a Working Telephone Number inventory, detailing all your existing business phone lines (POTS), features and surcharges. Savings can be realized simply by re-pricing existing and eliminating unused phone lines, and adding feature packages. CarrierBid will analyze your Hi Cap services and Circuits, like T1, PRI, DS3, Ethernet, etc, to determine if there are less expensive alternatives, either with your existing provider or through another business phone and internet service provider. We’ll match your contracts up with your telephone and internet service bills to determine if your provider is charging the correct amounts. CarrierBid will explore the use of other technologies, such as Session Initiation Protocol (SIP) and Multi Protocol Label Switching (MPLS), to determine if there are more efficient and cost effective ways to transmit your voice and data. If it’s determined that the best plan of action is to conduct an Request for Proposal (RFP), CarrierBid can help your company with that as well. CarrierBid utilizes a reverse auction process that results in the lowest pricing and most favorable terms possible. If you would like to request a telecom bill audit, please call or complete the form on the bottom of this page.